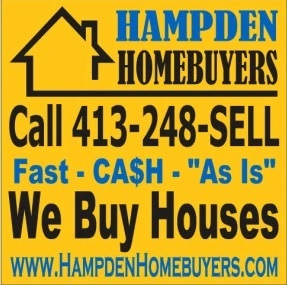 We set up this website to allow our readers to follow all the latest and greatest that is happening with our real estate redevelopment (aka House Flipping) company Hampden Homebuyers. Hampden Homebuyers was founded by real estate investor’s, trainer’s and coaches Matthew Kearney and Dominic Kirchner in order to provide homeowners a fair and reliable way to sell property in todays real estate market. We are very experienced property rehabbers located in the state of Massachusetts that specialize in buying houses in “as-is” condition. We are a growing company looking to renovate houses and improve neighborhoods in Western MA and the greater Springfield area. This blog was set up so that homeowners can find out more about what we can offer and why you should choose to do business with Hampden Homebuyers. We buy several houses each month and because of that we are very experienced investors who are not interested in wasting anyone’s time or not following through with an agreed upon closing time frame. We take pride in following through with our commitment to each and every homeowner that we work with. Along with buying houses Hampden Homebuyers also sells many gorgeous fully renovated homes. Here on FlippingSmart.com you can see several of our renovated homes showcased. We do many “before and after” sequences so you can see the amazing transformation our properties go through. We have many potential homebuyers that check our site frequently to get a sneak peak at our inventory and to stay on top of homes that we may be finishing up and putting for sale. If you are looking to purchase a home make sure you go to our website and register to be notified first on any new homes that we have for sale; HampdenHomebuyers.com.